The prize, endowed by the Man Group, is awarded every two years, for his entire work, to a writer in English or translated into English. It complements the Man Booker Prize, the English “Goncourt”. The list of the13 selected for the international prize has been published and it includes well-known writers as John Le Carré or Philip Roth (the final winner), but also for the first time two Chinese writers: Wang Anyi and Su Tong. Wang Anyi, a Shanghai writer, has just published a small book, “In Search of Shanghai” (2), a collection of essays and short stories, … not always properly matched but some parts are quite interesting. 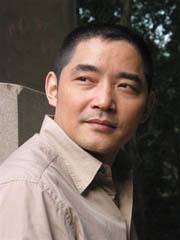 As for Su Tong, whose qualities we have underlined, he was the winner of the 2009 Asian literary prize, endowed by the same group for an excellent novel “The Boat to Redemption” (3), the translation of which will be published in France by Bleu de Chine- Gallimard. A set of thirty short texts, of very good quality, the translation of which, by Anne-Laure Fournier, is pleasant to read. Many autobiographical pages about his childhood, his village and the canals of Suzhou. A poor family (apart from their four children, my parents had absolutely nothing “) but that does not affect the optimism of the author. At that time, some brands of bicycles are a sign of luxury and a goldfish is the greatest gift that a child could dream of. The Cultural Revolution is however there and Su Tong tells us that while “the autobiography is a mirror oxidized for the three quarters,” he must recognize, much to his shame, that he wrote, like other students , letters of denunciation against Mrs. Chen, a professor he admired. Recent stories of his adult life are less interesting: how he is embarrassed by a family at the pool, how he bargains in Germany … His relationship with his readers are treated superficially, “their expectations were disappointed, but why did they have expectations with someone who was not related to them …. ” By cons, comments on the authors he loves: Salinger, Borges, Carson Mc Cullers and her “Ballad of the Sad Cafe” is endearing. We enjoy more than a dozen short stories, very short, full of tempo, with characters we remember and mostly unexpected endings: an old glutton eats his savings, a beaten woman is cooking feasts for herself, a miserable neighbour who has been given fish heads eventually opens a restaurant and cooks with success fish head curry. Stories of shops: silk, ravioli, tinsmithing, hairdresser, butcher, a tea house, a pharmacy with a mute and despised employee who nevertheless saves a client. Suzhou, its region, its canals are present everywhere; his mother, joking, said “you’re not out of my belly, I’ve found you on a boat …” Thus, he confesses: “being interested in boats, I explored also a part of myself … “. That may be because they are close to his heart that the boats are the characters of one of his finest novels” The Boat to Redemption “(3). The English translation of the title emphasizes “redemption.” The narrator’s father, the son of a martyr of the Revolution, sees his parentage questioned by an inquiry commission . He loses his position as an executive, his wife filed for divorce, he took refuge on a boat, a small barge that, in convoy, provides transportation on the “Golden Swallow” river. He lived for eleven years on the boat No. 7 with his son Dongliang, the narrator, who chose to stay with him. Redemption for the father who wants to make up for his infidelities and will go up to a self-castration, while requesting a reappraisal of the findings of the inquiry. The title may also be translated as “River and Shore”, because everything opposes the world of boats, often populated by marginals to the world of shores, with people responsible and politically reliable, Party bureaucrats, arrogant, brutal and corrupt. The arrival on the boat of a little orphan, Huixian, lead to many problems but also after a few years to the awakening of romantic feelings in Dongxian. He is isolated, he is neither part of those two worlds; as Huixian, he has no roots and episodic relationship with his mother are as heavy as the constant supervision of his father who seems mostly preoccupied with the sexuality of his son. It is a novel, longer, more complex, more ambitious than the previous ones. The construction of the book is hesitant and all the episodes from the life of Huixian, after she left the boat, do not always fit easily in the narrative. Moreover Huixian, as a young lady, is less interesting than the little orphan who tries to live with the boatmen. The portrait of the father is rather schematic, particularly in his relations with Dongliang while the character of the mother, an actress in a troupe of propaganda and a local radio speaker, is much more analized. But it is the narrator, Dongliang, who is the center of the narrative, who moves us and holds our interest for a good novel, and with “Rice” probably the best by Su Tong. 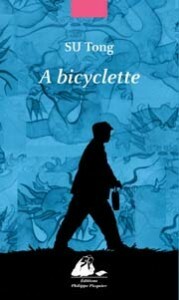 (1) Su Tong, ” On a Bicycle”, translated by Anne-Laure Fournier. Editions P. Picquier, 2011, 140 pages, 15 euros. (2) Wang Anyi, “In search of Shanghai”, translated by Yvonne André. Editions P. Picquier 2011, 120 pages, 14.50 euros. (3) Su Tong: “The Boat to Redemption”, translated by Howard Goldblatt. Doubleday, 2010.